Guest post by Ginger Stabach, a representative of Ava Anderson Non Toxic. I found Ava Anderson Non-Toxic because 6 years ago I was diagnosed with severe asthma after being sent to the ER twice by my overbooked doctor and thinking I was having a stroke. Not being one to live on medications if I don't need to, I went in search of what I could eat or do to strengthen my lungs. While researching, I found the Environmental Working Group. I already knew about their Dirty Dozen/Clean Fifteen list and, being from a farming town, I already ate fairly clean. I had gone to a talk at one of the farms when I was pregnant with my oldest son. The farmer talked about the fact that you could either pay a little more for organic food or pay a lot later in life for medications. On the EWG site, I saw a link: "Do YOU know what is in YOUR Cosmetics?" As someone who loves creams and lotions, I clicked in thinking "Wow, this will be fun!" Ha! I typed in what I was using and up comes LUNG LUNG LUNG LUNG sensitivity from everything! I quickly shut the computer off and waited a few days as I was pretty freaked out. I eventually talked to my husband, "Do you think this is just crazy people thinking the sky is falling or could there be something to this?" He said "Why don't you do more research?" I did and found more and more people suffering from various health conditions associated with chemical sensitivity. I wrote to my US Senator Sheldon Whitehouse and he confirmed that yes the FDA is underfunded and understaffed. From that point I proceeded to throw out everything in our house. I went everywhere trying to find toxic free products and would often be found in Whole Foods calling my husband (this was before I had a Smartphone) to look up shampoos, deodorants, toothpastes on EWG for me. I had been sharing this all with my good friend Tara, so when a local teen, Ava Anderson, launched a line of non toxic products in Barrington, RI she jumped on them and asked me why I wasn't! I was worried Ava Anderson's products wouldn't work for me. I have really sensitive skin and have avoided fragrance since high school thinking I was allergic to fragrance instead of all the chemicals that fragrance was made of. I've noticed products that said "Fragrance-free" on the front often still contained fragrance in their ingredients list. Tara dragged me to the Anderson's house for the launch of the 6 piece skin care set and the rest is history! Not only were my lungs sensitive to the chemicals in products, but also my skin! 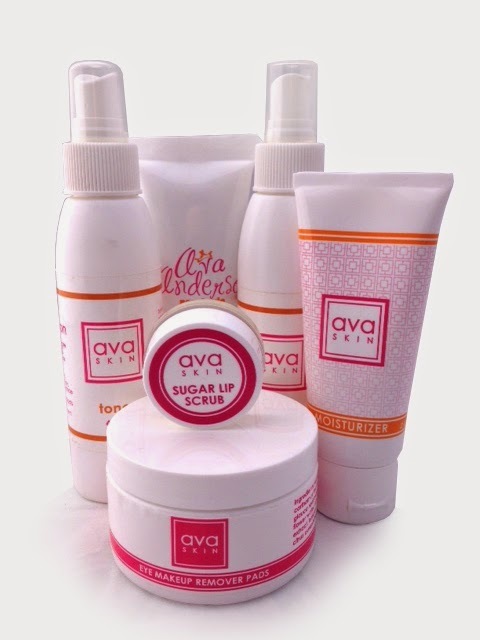 Ava Anderson has the largest full line of products in the USA (and made in the USA) made without harmful chemicals. It is important to note that this is not a solution/cure for all asthma. Removing chemicals may not work if that is not your issue. However, my asthma is definitely chemically triggered. Find what triggers your sensitive lungs, remove it, et viola... you still have sensitive lungs (a family trait) but they won't be bothered. I'm also sensitive to dust and cats, but I know to vacuum (even if I don't do it enough) and not breath them in. Finding your trigger and removing it is the key! I currently work with Ava to not only change chemical policy in this country but to educate as many people as I can to know how to read their ingredient labels. A quote that we like to use is, "It's all about the ingredients. Everything else is just marketing." Unlike food, there are no regulations for what can or can't be put on a cleaning product or cosmetics label. Anything can say "Natural", "Organic," or "Pure." The reality is that unless you are reading your ingredients you may be getting marketed to. 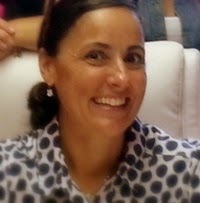 Guest blogger Ginger Stabach is a founding bronze executive team leader for Ava Anderson Non-Toxic. She lives in Barrington, RI with her husband and three sons. Learn more about Ava Anderson Non Toxic products at avaandersonnontoxic.com. Have you or someone in your family been affected by asthma? What impact does home and personal care products have on the asthma? Read EWG's top tips for cosmetics and how to decode cleaning product labels. This blog post is not meant to cure, treat, or diagnose any medical condition. Please consult your physician and use your best judgement. do you have asthma medications list? The best story about Ava products. Thanks for writing this Olivia! thanks! i'm happy to share Ginger's story here. It is so nice to see a real example of how Ava Anderson has helped someone and then see them pay it forward. We really can help ourselves. It renews my faith in business world seeing that there is a company out there with honesty, integrity, and doing something for the good of others. Now if the rest of the world would follow suit! Hi Chris, right on! It's a riffle effect. I'm so excited about the future. What an incredible story! Thanks for sharing. Thanks Jen! I have to keep reminding myself after all these years that YES it did make a difference...still in shock! That is WHY I now have joined the company! Agree! 1,042 people so far have seen AT LEAST! Thanks Olivia!!! Great story!! Really speaks to the importance of avoiding environmental toxins to stay as healthy as possible! I read a quote( can't remember where it's from), "Genetics loads the gun. Environment pulls the trigger!" The absolute truth. Thank you for sharing!!! This is an inspiring and amazing testimonial. Chemicals wreck havoc on so many people without knowing. I too am an example of this in that I was a chronic migraine sufferer from the age of 12 with 4-6 migraines a month lasting 24-72 hrs each. When I went non-toxic, completely detoxes my home environment, the reduction and duration of my migraines dropped down to less than 1 per month! Sometimes I even go 3 months without one! Everyone's bodies are different and harmful chemicals effect us all in ways we may or may not notice immediately. Thanks for sharing Ginger! Amazing story Ginger! Thank you for sharing... It certainly concerning that people have no clue what these chemicals are doing to our bodies! Thanks Olivia! Thank you Ginger! You are the reason I joined Ava! I use to have 1-3 headaches a week and since removing all chemicals from my home and using all Ava products I have had 1 headache in almost 2 months! 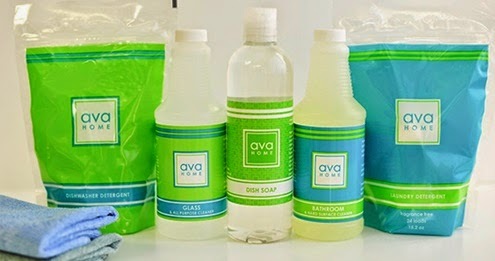 I love my Ava products! Awesome Meghan!!! I hope many more learn and know that they have a choice!! YAY!!!! So glad Nicole...who knew right!!! It still shocks me! Agreed!!! We have SO much work to do in educating our country! I'm so glad this has helped you Rania!!! People don't know what they don't know!!! Wow! That's AWESOME! Congrats on taking action for your health and lucky you that you get to work with Ginger!